“Great things start with small bricks.” Brick just wants to find her place in the world. She journeys round the world exploring different buildings to discover where she may fit. She visits a castle covered in battle scars but she doesn’t like fighting so that’s not her place. She walks on walls that “snake as far as she can see” but walls create divisions so on she quests. 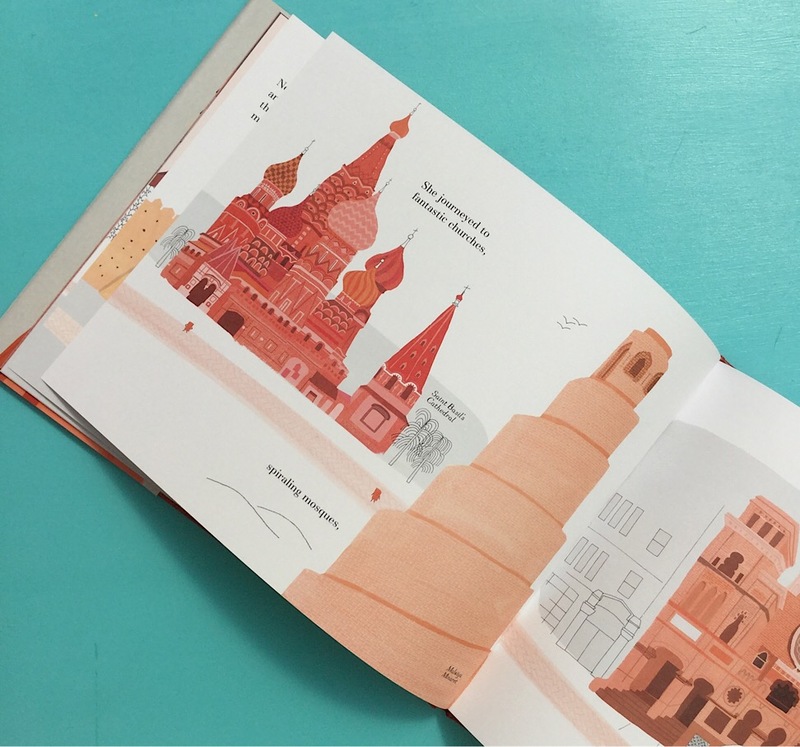 Julia Rothman’s use of a limited ‘brick colour’ palette is so beautiful as is the message in this book. For after all, we are all just trying to find our place in the world.